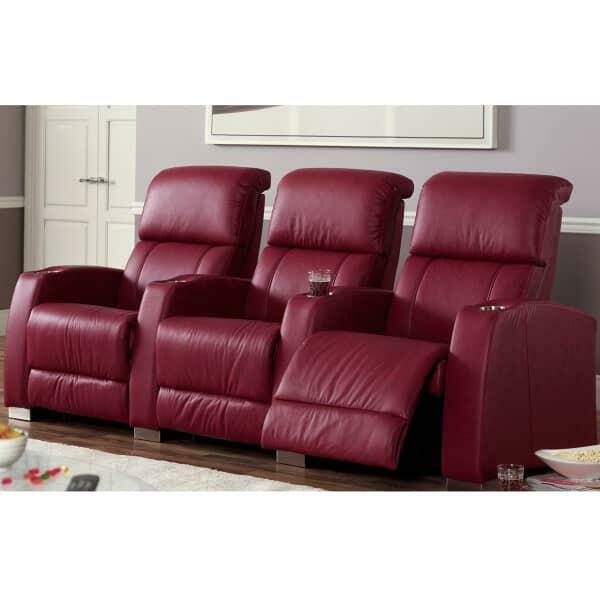 Escape the distortion in your life with the relaxing HiFi Theater Seat from Palliser placed in your in-home movie theater. These high-fidelity theater seats offer multiple setups and configurations; you can preview each two-seat, three-seat and four-seat blueprint in the drop-down menu found to the right of the main image on this page. These seating options were created by Palliser to be completely custom, designed by each homeowner to fit their in-home movie theater needs. To ensure you review all of the standard options and magnificent upgrades available for your home be sure to give us a call. For decades we have brought the silver screen into basements across the country; you can rely on Family Leisure and Palliser to build your private movie theater! Multiple Two-Seat, Three-Seat & Four-Seat Configurations (View In Drop Down Menu To The Right Of The Main Image).